Check out this scholarly approach to the history and evolution of Black Metal, courtesy of Darkthrone drummer and lyricist, Fenriz. FLIGHT OF THE CONCHORDS: WILL THEY, WON’T THEY? However, a spokesperson for HBO has denied that there are any plans in the pipeline. There’s no doubt, following on from their sell-out UK tour, that a Conchords movie would be more than welcomed by fans of the duo. 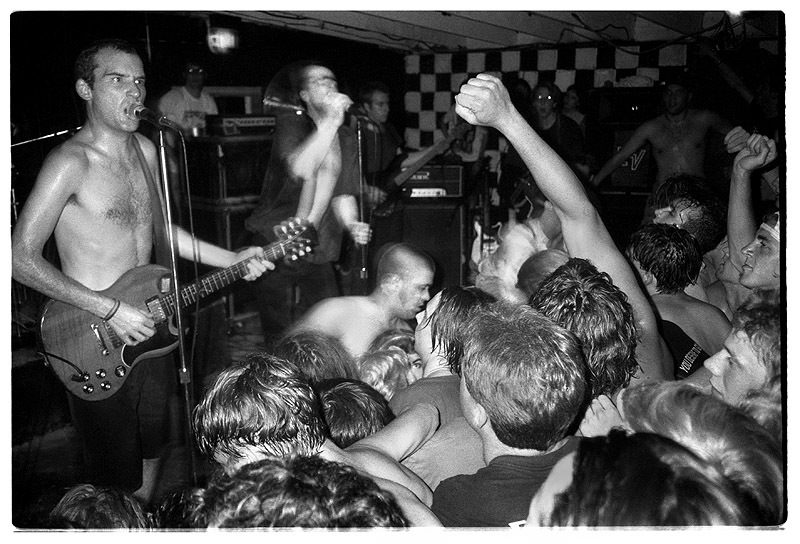 It’s easy to dismiss a lot of the skate-punk generation for not showing much depth or profundity, and in most cases (NOFX, Vandals, blah blah blah) you’d be right. However, I think it’s about time that a case was made for some of the bands in the pop-punk world who have little to say about bodily functions, and more to say about the world we live in. This week, Fat Wreck Chords has re-released five Lagwagon records, each including previously unreleased music and demo’s. Check out the song ‘Know It All’ below – I don’t think you could find a more concise missive at the concept of college radio, hipsters, tastemakers and the lack of loyalty toward artists in mainstream and alternative media. And a teen anthem of mine. The latest guest collection from MAC comes from a collaboration with British avant-garde designer Gareth Pugh. Pugh’s rise to fame is partly thanks to the backing of Rick Owens and celebrity fans including Beyonce, Lady Gaga and Kylie Minogue, who have all donned the Sunderland-born designers’ voluminous looks. The collection for MAC features products for face, lips and eyes in shades of burgundy and plum, complemented by frosty and gunmetal greys. 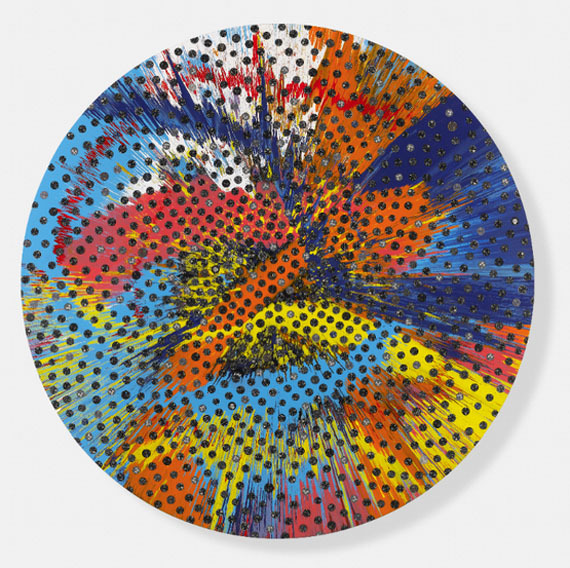 Damien Hirst has unveiled his latest artworks entitled “O’Clock: time design, design time” as part of a collaboration with Italian watch giants Panerai. The two pieces, which are on display inside the Triennale Design Museum in Milan, Italy, use over 1000 of the luxury watches. Time is indeed money, as they say. Pablo Daniel Osvaldo (AS Roma) V Lecce – wrongly disallowed!!! If you’ve ever whiled away some downtime with the Daft Punk soundboard for iPhone (and I know I have), you may be pleased to hear that there’s a new audio clip page in town – take a look at The Rap Board. 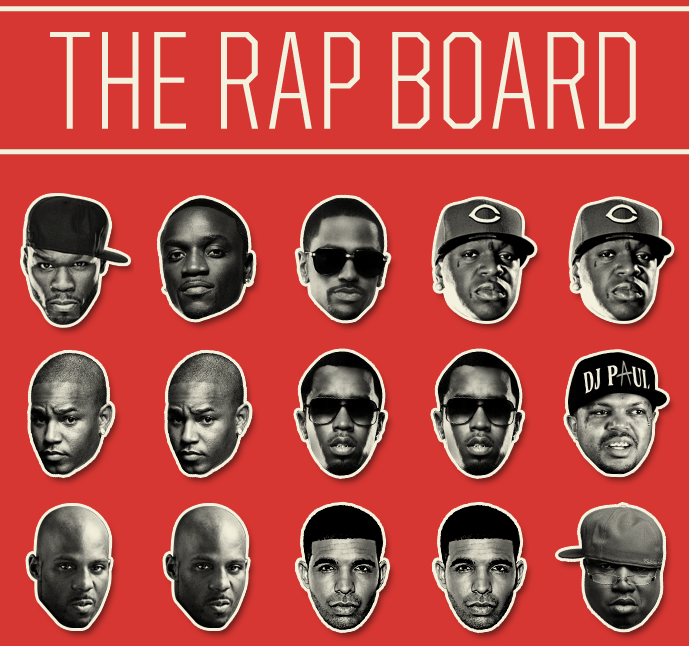 It’s a webpage (with a similar app coming soon) that features soundbites from the giants of the hip-hop world. This page features a fine cast and it will hopefully get bigger, adding more rappers slinging ‘cash money’ on a regular basis. You can email them (sorry, holler) direct from the page with any suggestions. My favourite is the DMX bark! Grrrr…. At 9am GMT on Thursday 17th November The Very Best of Versace for H&M will go on sale in the UK. The ladieswear collection is made up of six sub-collections, Babydoll; Bottoni Oro; Frange; Metal Mesh; Pelle Borchie; and Stampa. Each sub-collection draws inspiration from the most iconic collections of Versace’s history.